Lesley Wyborn is an Adjunct Fellow at the National Computational Infrastructure and the Research School of Earth Sciences at the Australian National University. She also works part time for the Australian Research Data Commons. She previously had 42 years’ experience in Geoscience Australia from 1972 to 2014 where she worked both in scientific research in geochemistry and mineral systems as well as in geoscientific data management. In geoinformatics, her main interests are developing international standards that support the integration of Earth science datasets into transdisciplinary research projects and in developing seamless high-performance data sets (HPD) that can be used in high performance computing (HPC) and cloud environments. She is currently Chair of the Australian Academy of Science ‘Data in Science Committee’ and is on the American Geophysical Union Data Management Board. 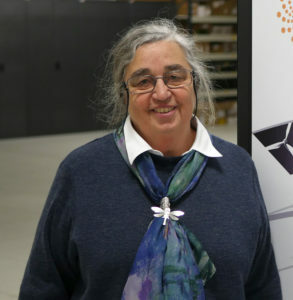 She was awarded the Australian Government Public Service Medal in 2014 for her work in geoscience and in geoinformatics, and the Geological Society of America Career Achievement Award in Geoinformatics in 2015.